rotherham business news: News: Funding boost for Bassingthorpe? News: Funding boost for Bassingthorpe? The Sheffield city region (SCR) has passed another hurdle as it attempts to kickstart housebuilding using millions of Government funding. Launching a Housing White Paper last year, the Government announced the Housing Infrastructure Fund, a capital grant programme of up to £2.3 billion, for new physical infrastructure which will unlock sites in the areas of greatest housing demand and help to deliver up to 100,000 new homes in England. Funding is being awarded to local authorities on a highly competitive basis, with Rotherham Council making bids to bring forward development. The first at Bassingthorpe Farm for £31m would deliver essential transport and drainage infrastructure and the second in Rotherham town centre for £10.6m would enable flood alleviation and ground preparation to for the delivery of around 400 homes. Now a joint bid from the SCR has been named on a list of successful authorities that will now co-develop plans with the Government to unlock housing sites. The forward funding has been earmarked for a small number of strategic and high-impact infrastructure schemes. The Government is set to put in the first amount of funding, which then gives the market confidence to provide further investment and make more land available for development and future homes. Bids are capped at £250m. Sir Edward Lister, Chair of Homes England, the former Homes and Communities Agency (HCA), was at a meeting of key housing figures to be updated on the progress of the SCR's radical new Housing Compact and its first initiative "More New Homes." The Compact is a partnership of local authorities, housing associations and arms length management organisations, and is the first of its type in the UK. It is tackling the need to build more homes faster in the SCR and could deliver at least 1,500 new affordable homes each year. Sir Edward, said: "We need to work together to identify more ways that Homes England can work with the Sheffield City Region team to help them achieve their ambitious housing targets. We will work with the City Region to build on the collaborative working arrangements." Huw Bowen, the Chief Executive of Chesterfield Borough Council and lead Chief Executive for Sheffield City Region for housing, added: "Having affordable and high quality homes available for a workforce is vital to economic growth in the whole region." The SCR has a target of delivering up to 7,000 new homes annually. 6,200 homes were created in the city region in the past year – double the annual figure just three years ago. Rotherham Council has a target of 641 new homes for this year but this is unlikely to be met. The authority is pushing ahead with its own housebuilding plans and the Local Plan is nearing adoption. Removing uncertainty over land availability, the plan includes 100 new housing sites, many of which can be developed immediately with enough land for 6,500 new homes. The total amount of housing land available at the time of adoption will accommodate around 14,500 new homes. The SCR said that housing developments attracted a high level of interest at international property showcase MIPIM, including the major Bassingthorpe Farm development in Rotherham. The controversial development site is heading to the market with the landowners looking for commercial partners to help bring forward 2,400 dwellings and 11 hectares for employment use. 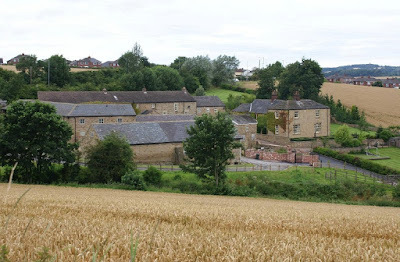 As part of the Local Plan core strategy that was adopted by the Council in 2014, the 215 hectare area close to Rotherham town centre has been removed from the Green Belt and designated as a Strategic Allocation and the main location for new housing, employment and retail growth. A promotoer partner or development partner is beign sought and the MIPIM brochure stated: "This superbly located former Green Belt 200Ha site is close to Rotherham's town centre as well as surrounding countryside, the Grade I Listed Wentworth Woodhouse and Parkland and the Advanced Manufacturing Innovation District. "With a comprehensive masterplan in place the site will accommodate 2,400 new homes, 13Ha of employment land, a new primary school and attractive local centre all set within a green infrastructure, with strong cycling and pedestrian links creating an attractive place to live and work. "The two landowners (Fitzwilliam Wentworth Estate and Rotherham Council) have been working together to progress this exciting opportunity. The project will be seeking development partners later in 2018 to achieve a start on site in 2020/21." Previous work has shown estimated delivery costs of over £350m for the project with the infrastructure needed to bring forward houses, associated retail and employment uses estimated at over £50m. Work to improve the nearby road network is underway.